1. Live users should navigate to: https://my.cqg.com/signin . 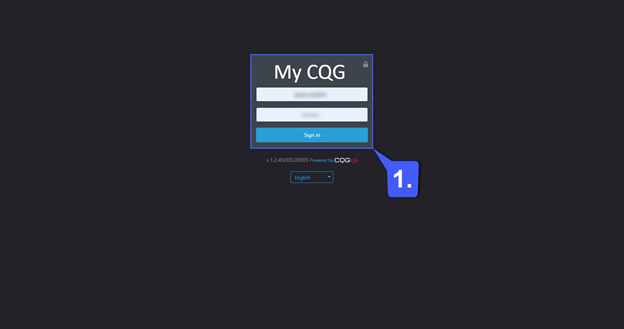 Enter your CQG username and password in the corresponding fields. 2. 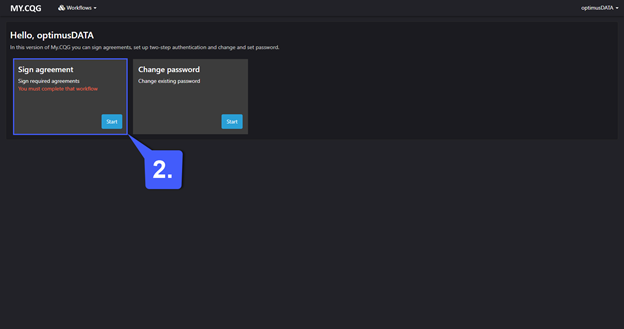 When you first log in to this page, the EULA agreement should automatically appear on your screen. 3. 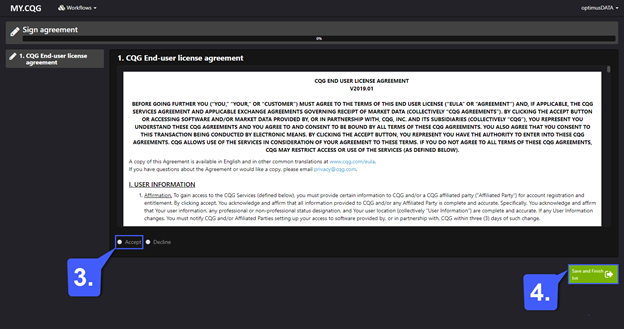 Click the Accept button once you have read the CQG Ender User License Agreement . 4. After clicking the accept button on the EULA Agreement, click the Save and Finish Exit button to complete the EULA Agreement. 5. Once the EULA Agreement has been accepted, the user can now log in to their CQG account as normal and access their platform of choice.